Congratulations Bristol Bay River Academy Class of 2014! These students wowed all the instructors with their dedication and positive attitudes. We can’t wait to see the great things they’ll all do with their new skills! 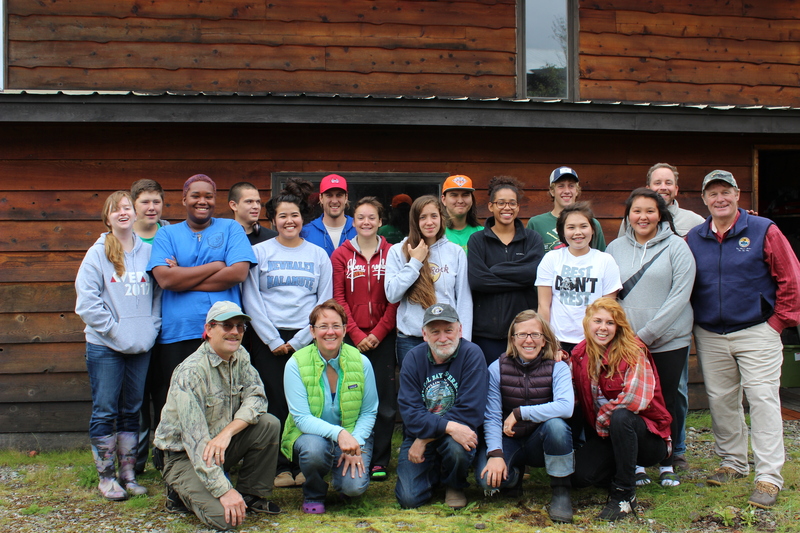 Back Row (left to right): Tara Henry, Alec Halford, Darius Haried, Dennis Straughn, Shiann Nanalook, “Scottie” Scott (Bristol Bay Guide and Guest Academy Instructor), Larina Butkiewicz, Riley Lyon, Tyler Stevens, Shoshone Kendall, Adam King, Rhiannon Nanalook, Brittany Anelon, Anders Gustafson (Bristol Bay Guide and Guest Instructor), Mac Minard (Instructor) Front row: (Instructors) Dan Dunaway, Nanci Morris Lyon, Tim Troll (Founder), and Nellie Williams, Student: Sarah Smith.